This porch roof needed stripping off and replacing. A new timber barge was replaced and the rafters repaired. 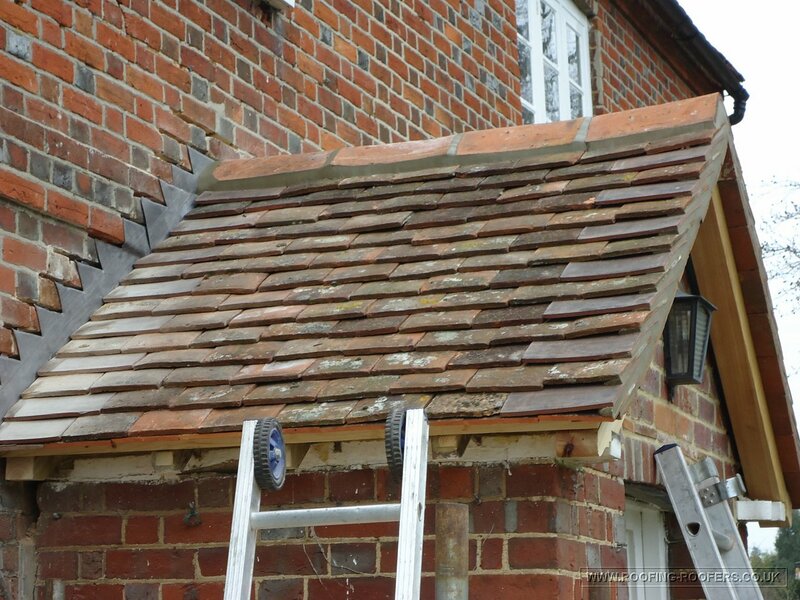 I put new breathable membrane felt on, new treated battens and replaced the existing clay peg tiles making up numbers from a reclaim merchants. 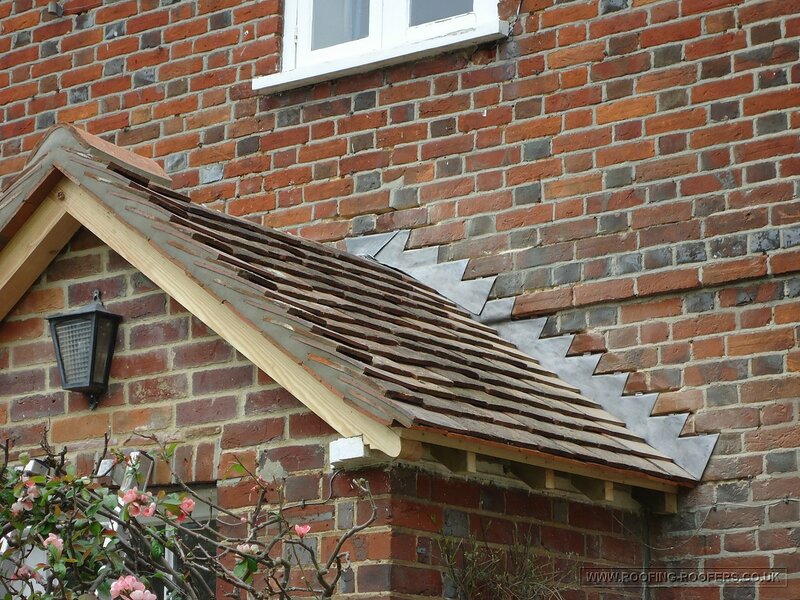 Reclaimed hog back ridge tiles were used to finish, as you can see, a tile under cloak was used in place of fibre cement as this was a listed building and it kept its original state. Lead stepped flashing was put into the wall abutment it was originally a cement fillet but over time this fails and cracks allowing water ingress. Lead is a better and a sounder process lasting for many years to come. 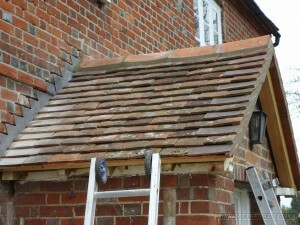 This is the porch roof completed all, tiled in with the reclaimed hog back ridges bedded on with sand & cement. The stepped lead flashing is all that is in need of pointing and another customer was left happy with my workmanship. This entry was posted in Roof Tiling and Slating and tagged leadwork, Listed buldings, tiled roofs by admin. Bookmark the permalink.